Secchi depth (pronounced seckky) is a measure of water transparency, where transparency increases with increasing secchi depth. The secchi depth is the depth of water beyond which a high-contrast pattern on a submerged disk is no longer visible. 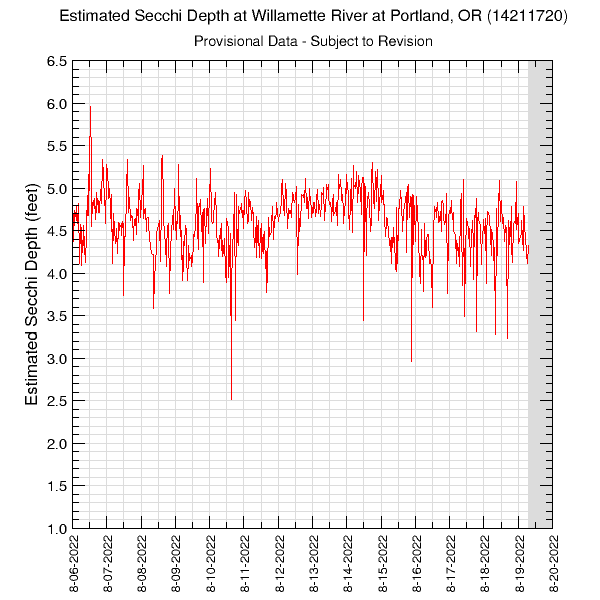 Secchi depth data here are estimated using a regression model based on measured turbidity data, and are measured in feet.